When it comes to weddings, white is as classic as it comes. But what if you’re a modern girl with a taste for champagne? Think crystal chandeliers, creamy white hues, and tasteful touches of glam to create a rarefied air of extraordinary elegance. 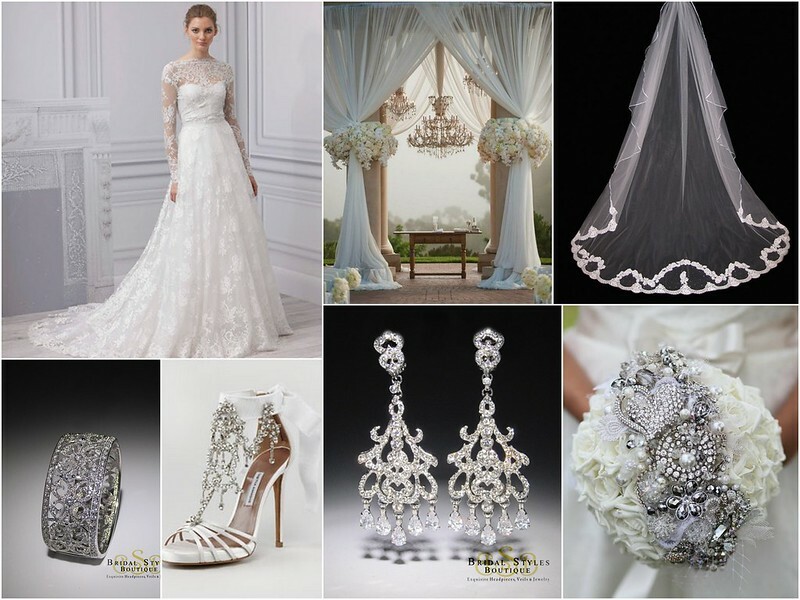 Balance past and contemporary style in your own look with a fresh take on a traditional lace bridal gown, a sophisticated lace-edged cathedral veil, and statement-making bling! To find the ideal bridal accessories for your luxuriously modern affair, visit us at our New York boutique! This entry was posted on Wednesday, June 27th, 2012 at 2:51 pm	and is filed under Inspiration. You can follow any responses to this entry through the RSS 2.0 feed. You can skip to the end and leave a response. Pinging is currently not allowed.